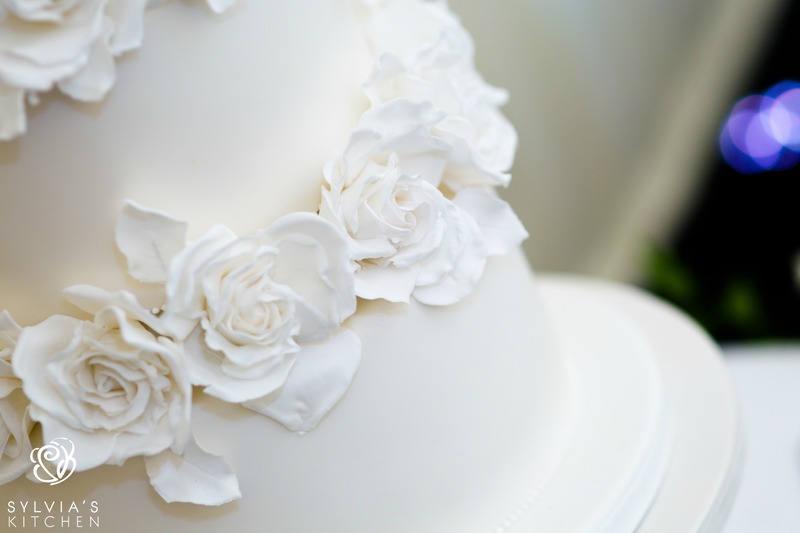 Three tier wedding cake at Broyle Place, Ringmer, Lewes, East Sussex. 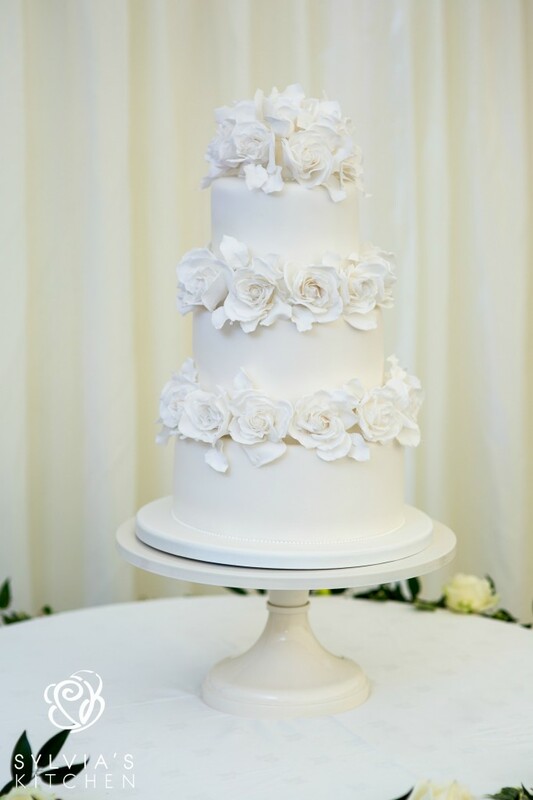 All tiers iced in pure white, with white full bloom sugar roses and white sugar leaves, three tiers with separators, soft white edges, white piped beading to the base of the bottom tier. Base tier of Belgian couverture chocolate sponge with whipped Belgian couverture chocolate ganache, central tier of fresh lemon zest sponge filled with whipped lemoncurd buttercream and top tier of moist rich fruit cake. Images kindly supplied by Daniel from Flashback Photography. Cake serves 120 finger portions.